Almost all Pathfinders undergo extensive training for three or more years to learn the tricks of the trade, and their last test before graduating from the ranks of the initiates to the status of a full Pathfinder agent is the Confirmation, a special research project that involves considerable fieldwork and is designed to simulate the initiates’ future work as a Pathfinder. 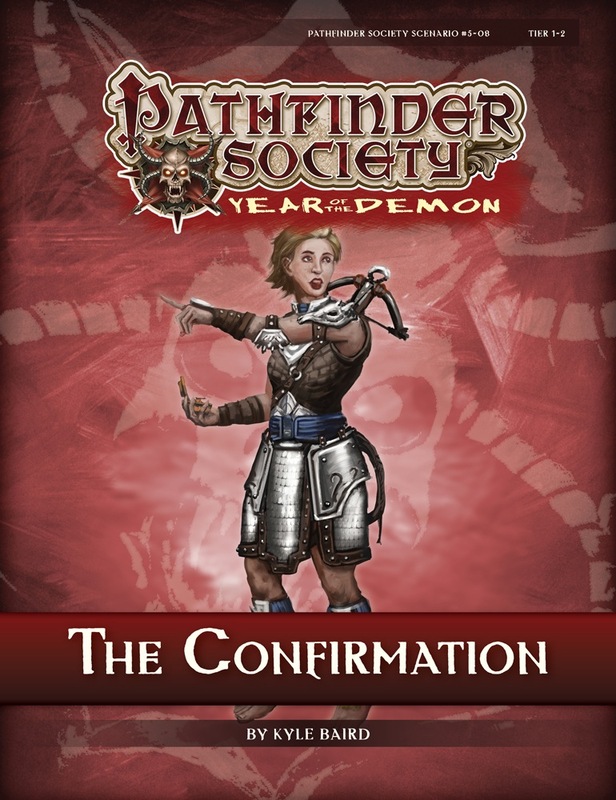 Even the noteworthy field commissioned agents sometimes participate in such trials as a way to familiarize themselves with the Pathfinder Society’s rules and expectations. Although Confirmation is typically an individual affair, the society recently discovered a site on the Isle of Kortos that would be perfect for initiates but perhaps too dangerous to handle alone. Successfully uncovering this site’s secrets will not only contribute to the society’s body of knowledge but shape the exciting careers ahead for each of the prospective agents. Please COMMENT below with some basic information about your character to help build the party. I will be emailing you directly with character submission information as we get closer to the event. I now have your email, I can consider you for an alternate position if one becomes available. I’ll play a freshly created Nagaji Bloodrager. So expect some melee here. If someon drops out, I’d love to play. I now have your email, I can consider you for an alternate position if one becomes available. We’ve already had one player drop and I picked up Dharkus so, Farnaby, you are now first on the wait list. If necessary, I can quickly create a new one with Hero Lab though. Richy, I still haven’t heard back from you regarding your character. Did you get my emails?? At this point everyone SHOULD have received an email from me regarding their character information. As we are closing in on the game date I wish to remind any of you that have not gotten me their character info to do so ASAP. I look forward to playing with you all. I haven’t received any info on the FG-Server or TeamSpeak subchannel. I will be sending all the players the FG server address in the morning before the game so keep an eye out for it. Everyone SHOULD have Teamspeak and Fantasy Grounds loaded onto their machines at this point and logged into the TS server to give it a trial run. Please be sure that all your hardware and software is working correctly prior to gametime. We will try very hard to stay on schedule and a big part of that is starting on time. If there are any general questions, please post them here or send me an email.